Many people think of warehouses as dark, dusty, and a little scary. We know that nothing could be further from the truth. 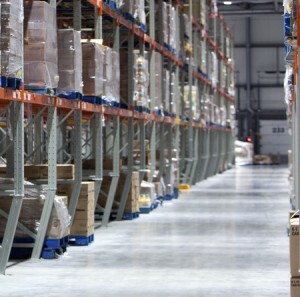 Warehouses are the heart of many businesses. Without an organized, clean, safe warehouse, a business can’t thrive. Pallets get lost, inventory gets damaged, and customers and clients are let down. Plus, a warehouse that isn’t clean is a warehouse that isn’t safe. Working in an unclean warehouse puts your team at risk. Fires and other dangers are more common in warehouses that aren’t properly cleaned and sanitized. At Cascade Building Services, we’ve been providing warehouse cleaning services since 1961– over 50 years! Warehouses around the Portland area have trusted our team of cleaning professionals to keep their facilities clean and running smoothly. Continue reading to find out more about a few of the warehouse cleaning services we offer. The key to a clean warehouse is attention to detail. Whether your warehouse needs an occasional deep cleaning or more regular attention, we can create a warehouse cleaning service package just for you. And our janitorial service team does more than mop, sweep, and taking out the trash. We use only the most advanced eco-friendly green cleaning supplies to help your warehouse stay incredibly clean. In large open spaces like a warehouse, dust and dirt accumulates on the floor. Constant walking, heavy Gaylords and pallet jacks, and forklifts are hard on your floors, too. That’s why it’s so important to keep on a regular floor maintenance and cleaning schedule. Did you know that as much as 33% of your warehouse’s trash is paper that may actually be recyclable? Starting a new recycling program, or optimizing your existing recycling system, is a great way to be environmentally friendly and to reduce your trash bill. Our recycling services include monthly visits to your facilities to check up on your recycling program, as well as managing all of your paper recycling needs. We’re committed to making sure that you and your team are completely satisfied with your recycling program. Need Daily to Weekly Cleanings For a Warehouse? We Can Help. When it comes to cleaning your warehouse, you need a cleaning company you can trust to do the job right. At Cascade Building Services, businesses in the Portland area have been relying on us since 1961. Our commitment to your satisfaction and our dedication to providing outstanding warehouse cleaning services set us apart from the competition. We provide warehouse cleaning services that are safe, secure, reliable, and thorough. Our team members wear uniforms and identification whenever they’re at your facility. We’re always trying to improve our services. We provide training to our team, making sure they’re familiar with the latest and most effective cleaning technologies. We’re available 24/7/365 and offer flexible and customizable warehouse cleaning contracts to fit your needs. Give us a call at (503) 691-0776, or contact us for a free no-obligation quote.